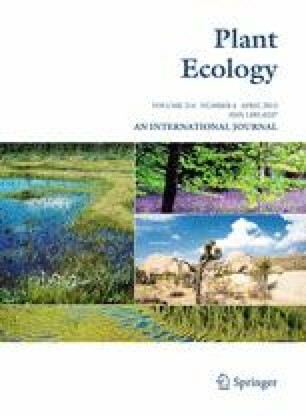 The assessment of the effects of long-term management practices is relevant in understanding the current patterns of plant assemblages in semi-natural ecosystems. We hypothesized that the variety of management practices across different farming systems under the same ecological conditions directly and indirectly shapes these patterns via the long-term changes induced in soil features. The aims of this paper were to evaluate the influence of two sets of variables describing long-term management practices and soil features on plant assemblages and their importance in the context of Mediterranean silvo-pastoral systems. The analysis of variance revealed that richness and grazing value were not affected at all by grazing livestock species and soil tillage frequency and that they both showed relatively high absolute values for the specific context under study. Trifolium subterraneum was a key species in contributing to grassland grazing value and habitat biodiversity. The Canonical Correspondence Analysis highlighted the influence of management practices and soil features on plant assemblage composition, which was significantly affected by grazing livestock species and stocking rate and by soil pH and K content. The Redundancy Analysis showed that soil pH and related features were in turn affected by stocking rate, supporting our hypothesis that management practices influenced plant assemblage composition directly and indirectly via their long-term effects on soil features. The results also highlighted that a systemic analytical perspective applied at a grazing system scale can be effective in addressing sustainable grassland management issues in Mediterranean silvo-pastoral systems. The online version of this article (doi: 10.1007/s11258-013-0194-x) contains supplementary material, which is available to authorized users. This research was supported by AGRIS Sardegna and by SOILSINK (www.soilsink.entecra.it). We acknowledge the support of Giovanna Seddaiu and Stéphanie Gascón for the statistical analyses. We also acknowledge the farmers that provided the pasture management information and allowed soil and plant sampling in their fields.